The battle of Yorktown has been in full force now for a week. From my bird’s eye view near Governor Nelson’s House very close to the bluff overlooking the York River, I can see that much devastation has occurred here since Cornwallis got the final bad news that he would be under siege very soon indeed. He has long since moved out of his headquarters at the Nelson House into a bunker even closer to the bluff. Cannonades are still fierce and non-stop on both sides. 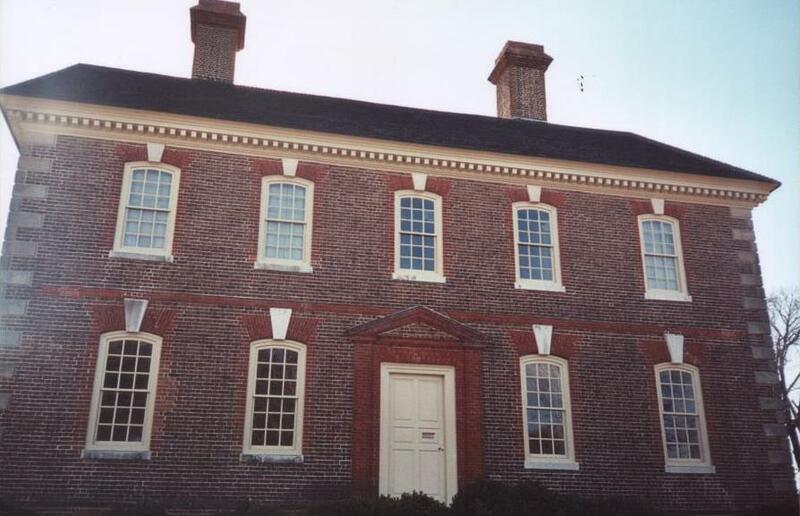 In fact, a cannonball has hit the beautiful brick mansion of the Governor of Virginia very close to my location. Yes, it is clear to me that Cornwallis has been forced to quit all manner of comfort to huddle with his men behind trenches and fierce-looking abbatis. Last night I learned that the French and Americans successfully stormed British redoubts 9 and 10, very close to Cornwallis, with surprise and unexpected force in hand-to-hand fighting. The battle here is nearly done. Surely it will be over in a day or two. Some say that the cornered Cornwallis has dug himself a failsafe cave beneath the bluff at the edge of the York River where he can hide, but from which he can never escape! I cannot see it from where I stand, but I take it as fact. When I look out over the York River I see the smoking remains of a British ship, partially sunk, named the Charon. On the 10th, from what I heard, that ship met a terrible end. It was bomb blasted by allied cannon balls that were heated to high temperature in a special oven brought to America by the French. When those hotshot balls hit the ship, it burst into flames. My goodness! That Rochambeau came through again! The more I hear about him, the more I love that man! 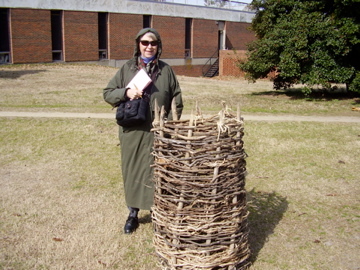 I know I am only a simple, colonial, rebel woman observer, but I have begun to realize the value in pre-planning that General Rochambeau must have done before leaving France. Thanks be to God he is on our side!! 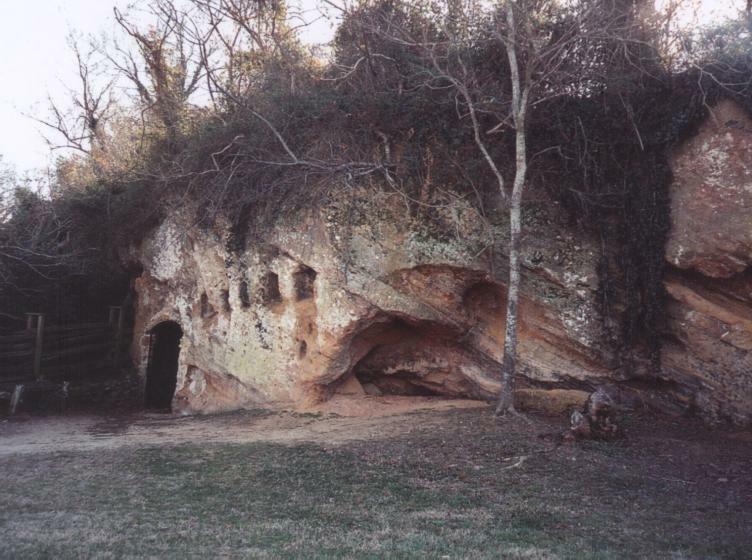 Cornwallis’ supposed hideaway cave under the bluff at Yorktown. And, did you hear about the several heavy siege cannon Rochambeau brought all the way from France too? They arrived by ship from Newport at the beginning of the siege. This past week the allies rolled out these secret weapons much to Cornwallis’ shock and awe! 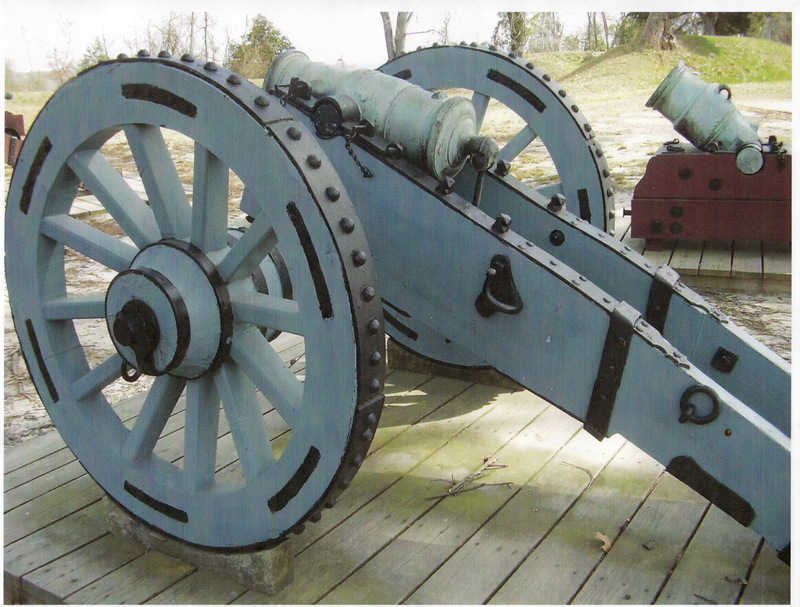 The extra heavy siege guns flattened Cornwallis’s defenses and his already deepening morale in one swift blow! It is plain to me that Cornwallis must reconcile himself to the fact that his compatriots, Admirals Graves and Hood, will not return to rescue him. In fact there have been no friendly-to-Cornwallis British ships in view for days! Cornwallis is coincé, as they say in French. Hooray!! Washington and Rochambeau have pushed his back to the sea, and Admiral de Grasse has blocked his retreat by sea as planned. Their three-point plan is working like a charm. The French Navy has made the difference. Long Live America! Vive la France!